Here are some frequently asked questions and answers about energy-efficient heating choices for Seattle and Tacoma homes. Hi, I’m a realtor and I often get questions that pertain to many of the issues you are discussing above. I’ve toured hundreds of homes on the east side and have seen lots of interesting heat sources. I am curious about if you were able to help Teresa in her 108 yr old home? What solution did she select? I tour with many clients who automatically rule out electric baseboard heaters because they associate them with fires; however it seems to be one of the most common and ‘comfortable’ ways to heat a drafty home (keeping the walls warm). Also, why don’t homes use radiator heaters in the north west? And do you have an opinion on in-floor radiant heating? (Also do you have an idea what the additional thickness of your floor would be after adding it to an existing home?) Just in case you can’t remember Teresa’s letter, I’ve included it below. We have a 108 year old 2 story house with only in-the wall electric heaters. 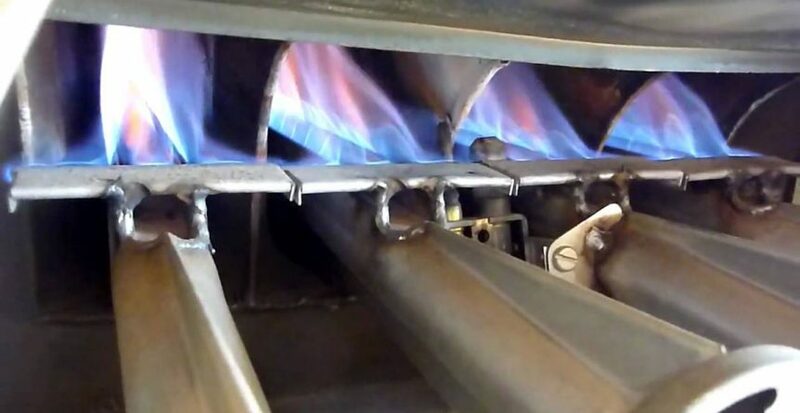 We have natural gas for cooking and hot water. I don’t know if a gas furnace is even an option for us with no ducts? 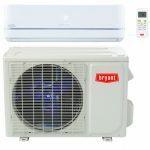 Is our only option the ductless heat pump? I’m concerned that the heat pump isn’t a good option for us with the upstairs/downstairs and then needing to keep the house warm and bedroom 60 degrees or less for sleeping? I feel like we’d need to install 3 or 4 zones(?) and that gets super expensive! I can’t speak to what Teresa chose, but I can answer your other questions. Electric baseboard heat is just really inefficient. We recommend keeping them as emergency heat should the temperature dip past the threshold for heat pump heat (which is not very often in this climate). Electric baseboard heat is common because it is cheap and easy to install, but ends up being more expensive to use regularly. We love in-floor radiant heating. The thickness it will add to your floors is not noticeable, less than an inch. Radiators have fallen out of favor probably because of how hot they get to the touch, and there is no way to propel the heat to different areas. It will be quite toasty near the radiator, but other parts of the room will stay cool. Is there a tool or formula for determining relative costs of a heat pump vs a gas furnace to achieve the same room temperature? I would assume that it would let me enter the rated efficiency of each device as well as the current price of each energy source. I know there are many other variables like days of <40° temps, etc., but I can account for those if I can just get an idea how much heat is produced by each appliance per unit of energy consumed. I've been surprised that this is so hard to find! Hi Allen, if you’re in our service area we would suggest a Home Energy Audit or even a Free Estimate if you’re thinking of an upgrade. The Home Energy Audit is very comprehensive. For obvious reasons we don’t guide a do-it-yourselfer into doing it because it takes training and skill to get a true read on your home’s energy loss and potential savings from any upgrades. Because of it’s long-term value it is a popular option for homeowners. Let us know if you’re interested, otherwise best of luck to you! Ducts could still be an option, but most people these days seem to be going with the ductless option. Ductless is more expensive, but there are often rebates attached to their installation especially if electric is your only heat source. Also, ductless is the most efficient option available. If you’re staying in your home for a long time, you will save on your energy bills. If you’re in our area we’d be happy to provide a free estimate. I have a gas furnace with a heatpump, which cost less to run for heat? Hi Leo, the heat pump is more efficient to run than the furnace in moderate temperature zones such as ours. When the temps get really cold, a heat pump is less effective and your gas furnace would provide additional heat to make up for it. But most of the time in our area the heat pump will do the heavy lifting and will be more efficient. I have an old downdraft furnace in a rambler where intakes and heating vents are both on the floor level. would it be better to put a new horizontal furnace? There are plenty of advantages and disadvantages to go with either up or downdraft. It really comes down to your preferences and desires. What is the goal of the furnace replacement? To gain efficiency? To add a component your current furnace is missing? Are you losing efficiency in your ducts? These questions would have to be explored with you in order to create your upgrade plan. If you’re located in our service area, give us a call. If not, I would suggest discussing it with a well-reviewed local provider that offers free estimates. Thanks! Ours is a 1950’s house in Puyallup with utan above-ground oil tank in the yard and an old (undetermined age) oil furnace that stopped working last winter. We are looking to replace our heating with a more energy efficient and cost effective system. We have considered gas but it has to be brought in from the street. The other options are an electric furnace or a hybrid heat pump. The insulation in our home is not the greatest in keeping with a rambler its age. Would you be able come and take a look at our home and give expert opinion as well as estimates on the different options? Hi Monte, your story is a very common one. A homeowner with aging systems hoping to get more efficient and more comfortable. We would be happy to come and do a free estimate in your home. Give us a call at 800-398-4336. We’ll also send you an email. Thanks, Washington Energy. My current home is a 1360 sqft rambler and we have a gas furnace. We live in Tacoma. Interested in an analysis to help determine what our best options are. Our current furnace is in need of repair and we are considering adding AC. Hi Robert, thanks for the comment. Our call center will be able to walk you through scheduling a free estimate. I have shared your email address with them and they should reach out to you soon. For faster service, just give us a call at 800-398-4663. Hi Randy, we’d love to help you. It is getting hotter here, that’s for sure! I’ll forward your email address and information to our support center. They’ll be able to help. Im interested in finding out the costs of gettng heat pump. I live in the Graham area. I have a electric furnace currently that started having issues this morning. Hello and thanks for asking. 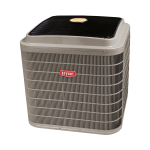 We have knowledgeable experts in your area, and would be happy to provide you with a free estimate for your heat pump. Heat pumps are not one size fits all. To give you the proper fit, we would come out and conduct a heat loss measurement so we are quoting you for the right size to fit your home. We will explain choices of features and efficiency, so you can find the option that will best meet your needs and budget. If you would like to set up that appointment, please sign up using the free estimate form on the website or for fastest service, call us directly at 800-398-4663. Thanks, we look forward to meeting you. My current home is a 1300 sqft rambler and we have a gas furnace, I’ve been hearing that heat pumps are the way to go. Is there a way to determine what would be more efficient for me. We would be happy to help you determine what could make your home more efficient. 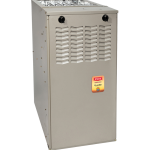 Heat pumps are very efficient, but a high efficiency gas furnace is also an efficient choice. In your particular situation, we would look at the condition and age of your gas furnace, ducting, the home layout, and insulation. We also do a heat loss calculation to determine proper equipment sizing. This way, you can look at both the relative efficiency and the cost difference and make an informed choice. We recommend having someone come out and look at it (which is free and no obligation). We would want to tailor an answer to you and your house and once you decide we can install it for you. If you would like us to do this, just call 800-398-4663 or click on the free estimate button on the website, and we’ll give you a call. I would greatly appreciate a recommendation for a company that could put in a new furnace for our home in North Tacoma. Hi Pamela, we would be happy to put in a new furnace for you. We are the largest HVAC contractor in the Puget Sound and recently won the top HVAC spot in PSE’s Energy Leader Awards. Give us a call at your convenience.